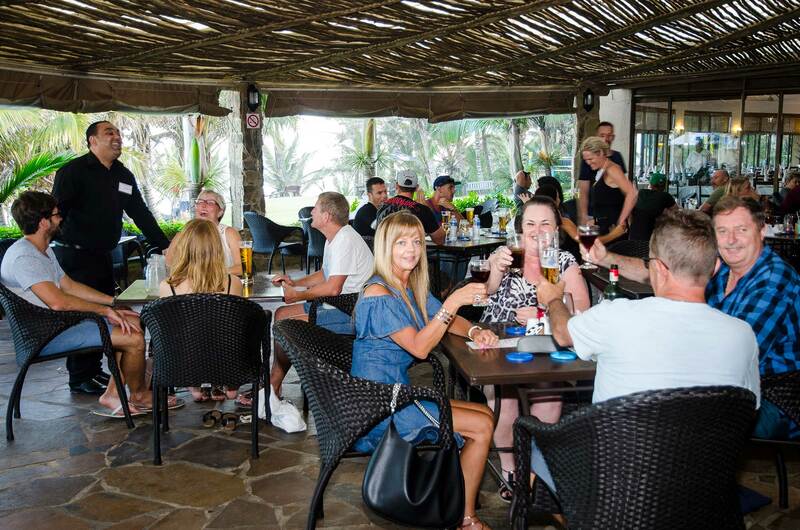 Whether you are interested in a relaxing lunch overlooking the sea, a casual pizza for dinner or a formal sit-down dinner, we offer a variety of dining options at Salt Rock hotel and Beach resort. 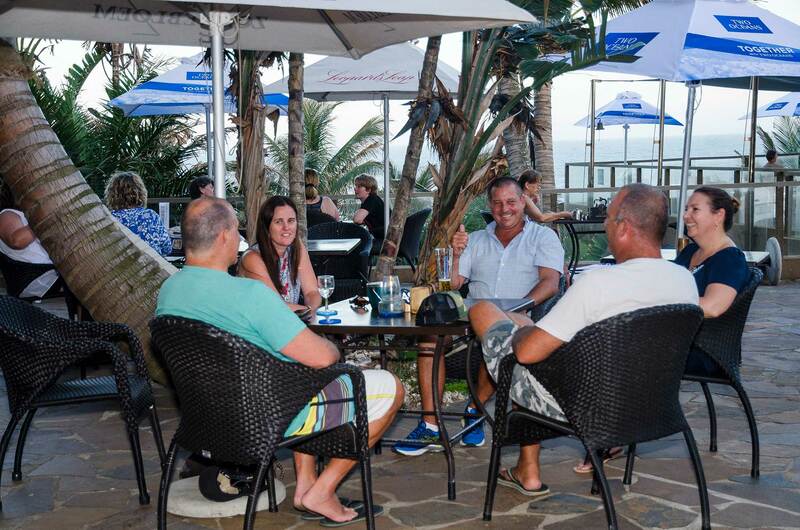 Harbouring a warm environment, Salt Rock Hotel is the place to enjoy a relaxing meal. 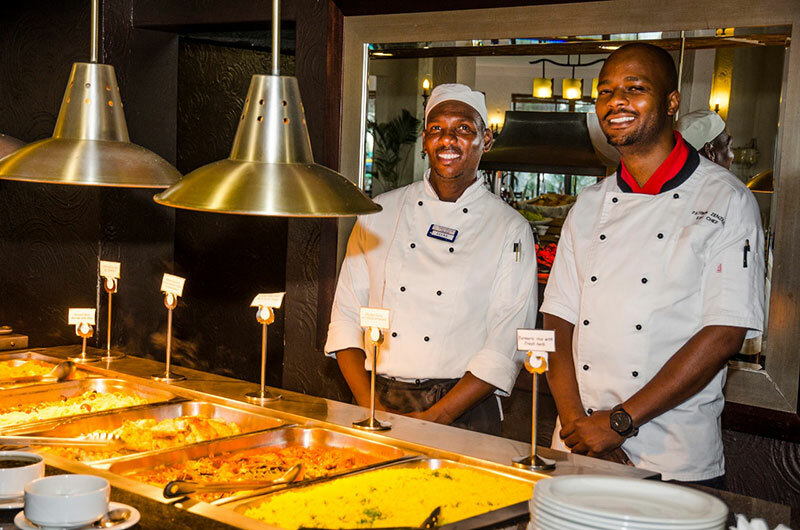 Our homely atmosphere is the perfect place for sampling the hearty dinner buffet served every evening. 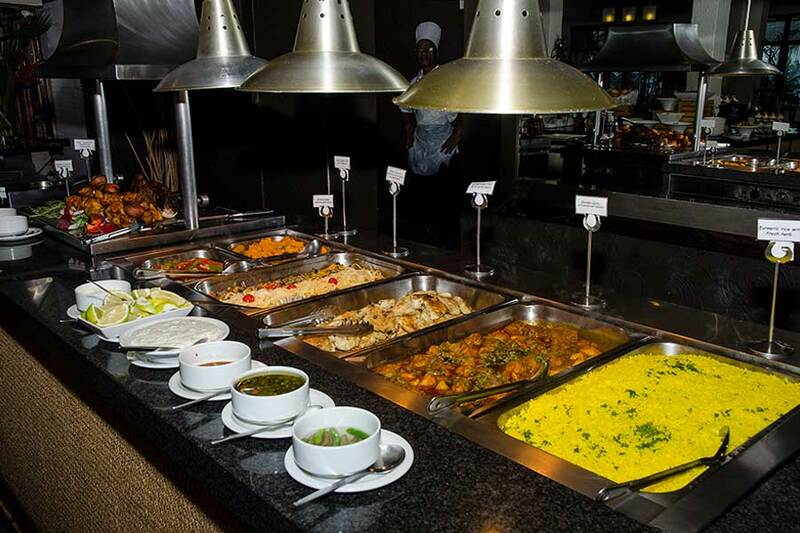 We offer a hearty and generous buffet breakfast and delicious dinners with a wide variety of choice. 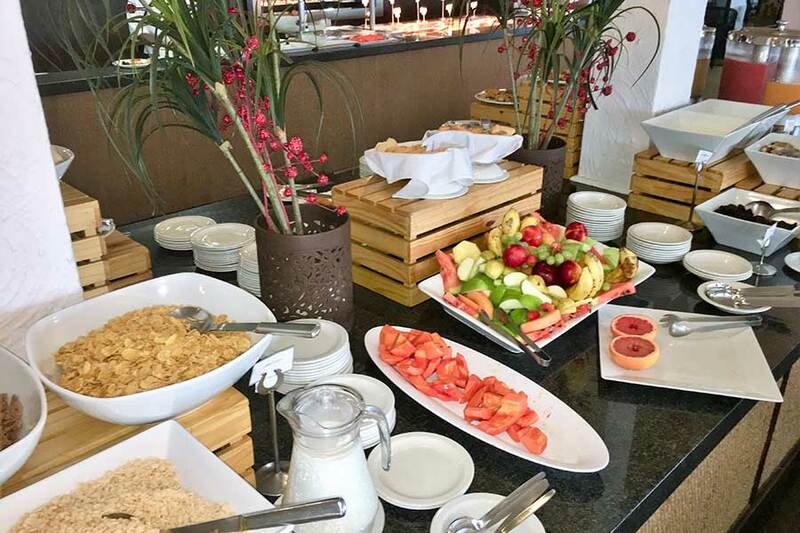 With our delicious Buffet Breakfast, you are spoilt for choice. Our A la Carte Menu is served from 10h00 through to 21h30 and offers a variety of scrumptious dishes, freshly made from locally produced ingredients to suit every taste. We are famous for our Curries which have been served for over 30 years. Our visitors often request “the ingredients” which remains our “secret” A new introduction to the menu is a variety of delicious wood-fired pizza, and our daily baked scones with fresh cream and strawberry jam are a must. Enjoy dining alfresco on the terrace sipping your favourite drink or cocktail, or a romantic candlelit dinner, whatever your choice, we can assure you, that you won’t be disappointed. The snack bar is situated at the swimming pool. Offering a selection of teas and coffees, milkshakes and ice creams, and a variety of sweets. Only 35 minutes north of Durban why not join us for a feast, not to be forgotten. Sunday lunch buffet and roast with all the delicious trimmings. We do suggest you make a booking to secure your table. Every Friday come and join us. Bring your retired folks for a plated meal at pensioner’s rates including a glass of wine or fruit juice. Look no further and book early for our unforgettable Christmas Lunch Buffet treat. The Chef’s go that extra mile. Spending that special time with family and friends, captivating memories. Tel: 032 525 5025 | Fax: 032 525 5071 | hotel@saltrockbeach.co.za | 29°30'11S 31°14'12E.